What are the arduino-like ultrasound module ? 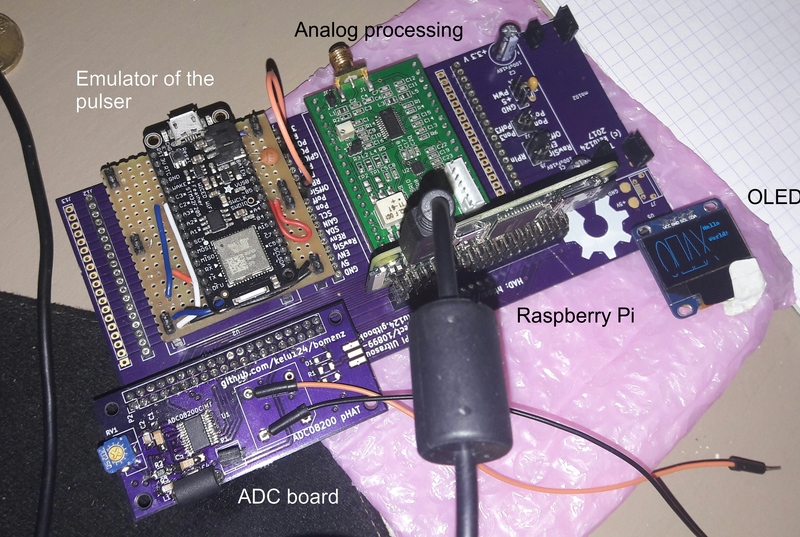 Creating modules to facilitate ultrasound hacking : the principles of the echOmods is to enable a full chain of ultrasound image processing and hardware control. 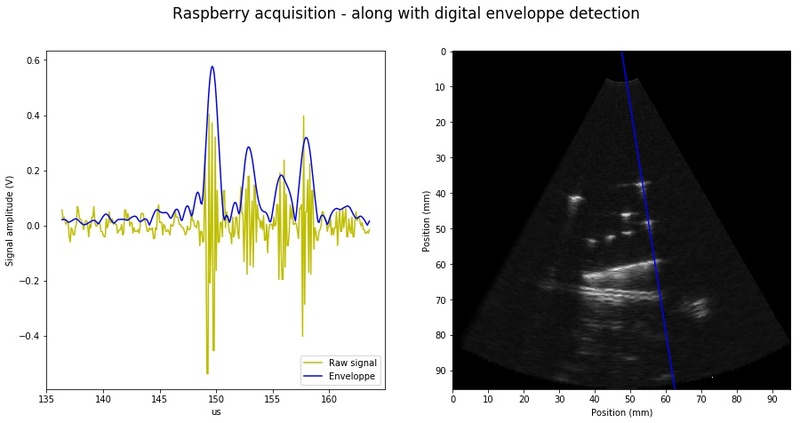 We have chosen to use a module approach to make sure that each key component inside ultrasound image processing can easily be replaced and compared with another module, while providing logical logic blocks and corresponding interfaces for these modules to communicate. 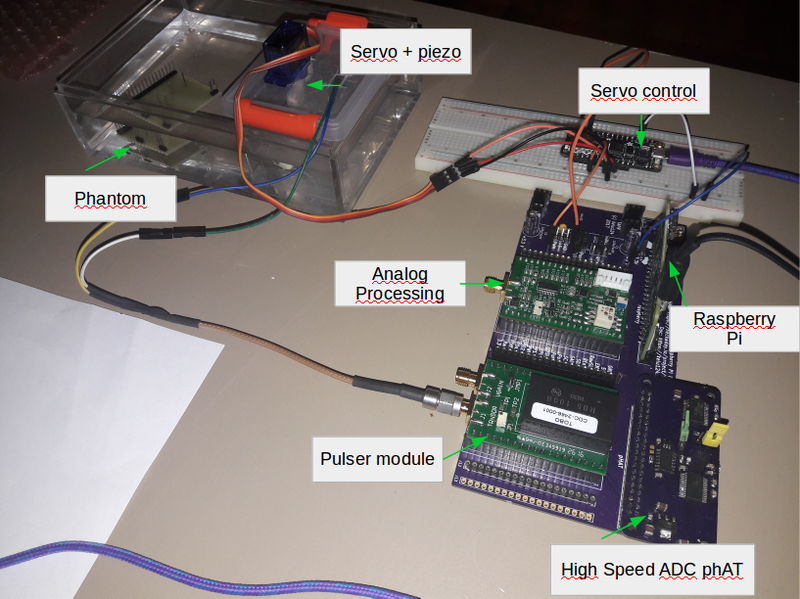 There&apos;s a module for high-voltage pulsing, one for the transducer, one for the analog processing, one for data acquisiton, ... and many more! What images does it give ? The modules sit on a breadboard, and communicate through the tracks laying below. The configuration represented below show the Basic dev kit. Using a simpler linux-enabled controler (the all-powerful Pi in its RPi 0 or Pi W) for the dev kit. Cost of materials aims at being as low as possible, below the 500$. Some stuff, unexpensive to buy, to build a ultrasound testing kit, totalling less than 500$.